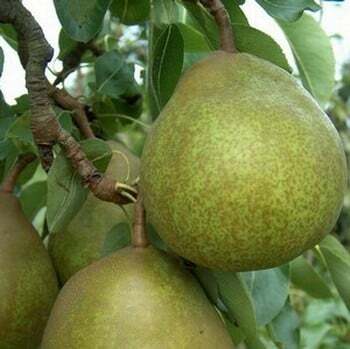 Organic Beurre Superfin Pear is a quality pear tree that appreciates a warm sheltered site. The round conical pears turn from green to yellow as they ripen with patchs of light brown russet over a lot of the fruit. Supplied in a bare rooted maiden form, these pear trees are ideal for training as espaliers or cordons, grown from Quince A rootstock trees (moderately vigorous growth) and ready to be harvested from mid September and will store until October. Organic Beurre Superfin Pear Trees are despatched in bare-root form between November and March. This product is exempt from any promotions.